Update, May 19: The Texas House has sent a bill allowing use of cannabidiol oil (CBD) to the desk of Gov. Greg Abbott. Get the details. Addition made May 7 at 1:43 p.m.: AUSTIN, Texas — The Texas Senate has approved a limited medical marijuana bill, authorizing the sale to eligible patients of cannabidiol oil. 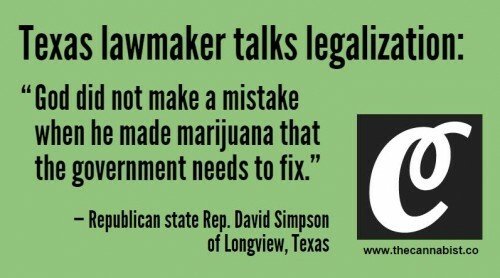 POLL: When will Texas legalize pot?